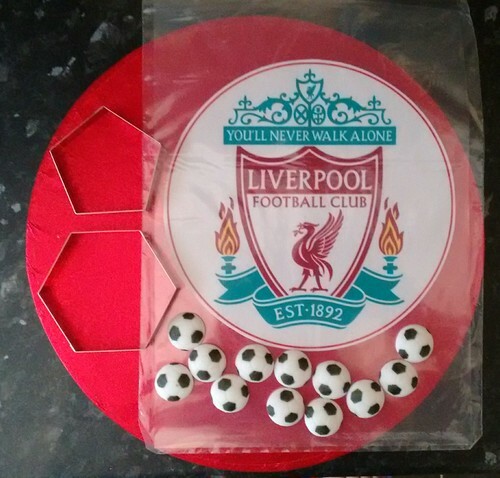 I initially wanted a football shape but was unable to get the tin(s), so I bought football shaped pieces cutters. 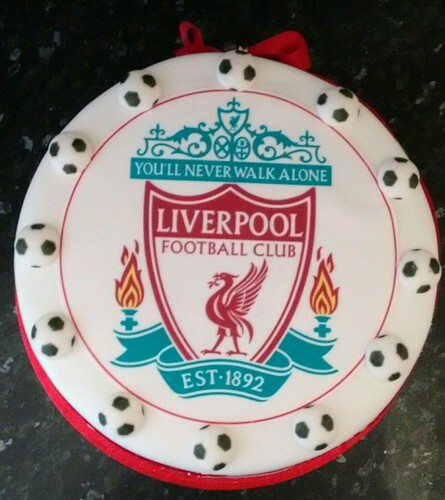 Which, on the day of decorating I realised they'd only work on a spherical cake, not a flat one. No matter, I'd adapt. 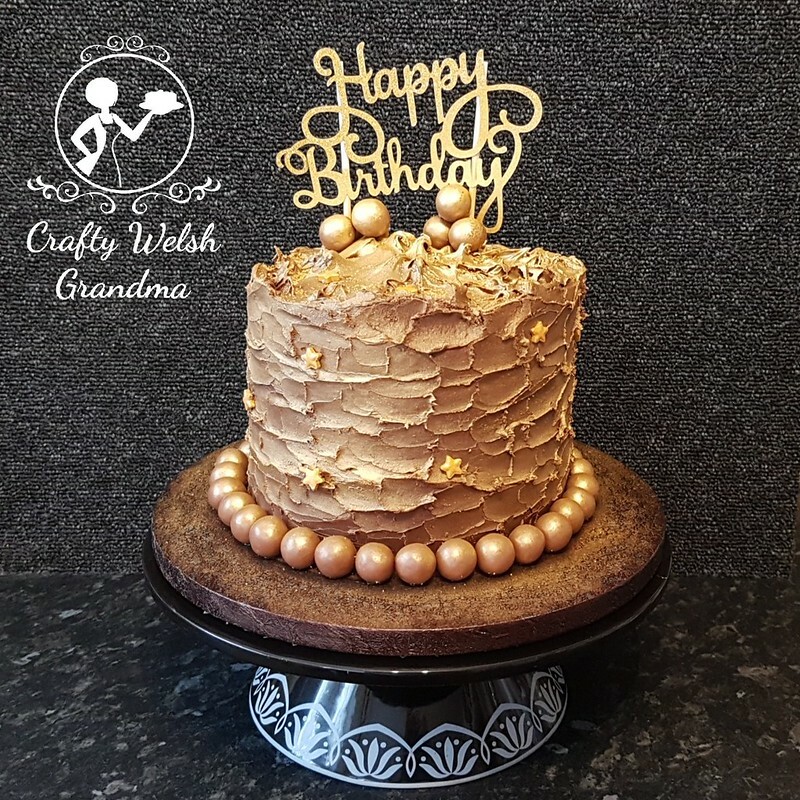 As you can see the decorations consisted of a large printed icing sheet and footy 'pennies', but it also includes the red cake board, red ribbon and a white ribbon printed with red footbàlls. Oh I hope that's not overkill on the football theme. 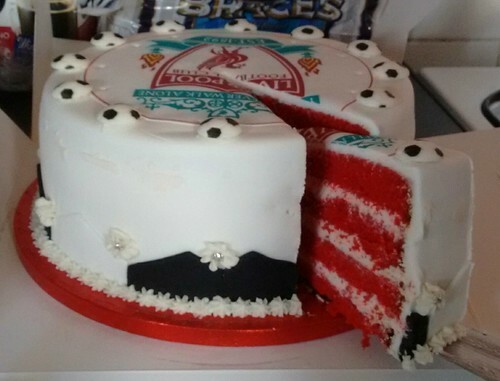 The outside was decorated in white because the delighfull vanilla sponge is bright red. I hope someone sends me a pic of the inside so I can add it here. 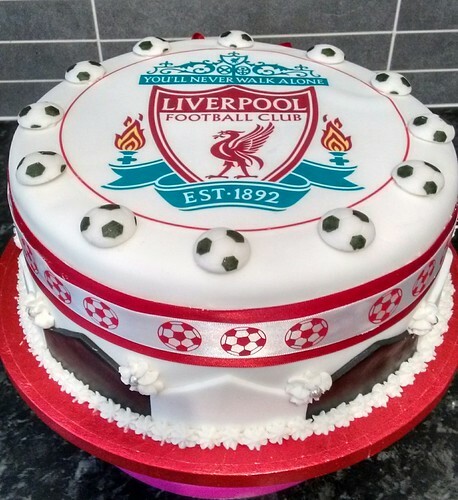 I had to adapt the football shape icing because I didn't have a spherical cake to decorate, but I think this one has turned out rather well.